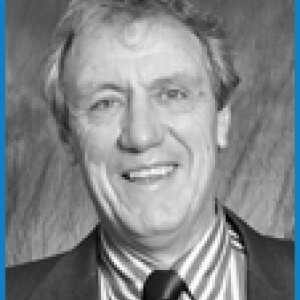 Ian Thomson, Ph.D. On Common Ground Consultants Inc.
Ian Thomson is a founding member and principal of On Common Ground Consultants Inc. He has over 30 years of experience in the resource industry, working for the last fifteen years to advance the management of socially sustainable development. His expertise includes stakeholder engagement, social performance guidance, corporate and operational team training, policy and social context reviews, and guiding multi-stakeholder processes. His early career years of working at the exploration and feasibility stages of the mine cycle enable him to uniquely ground his assessment of social issues in an understanding of the technical aspect of mine finding and development. Ian’s in-depth experience and perspective is sought after to provide forward-looking guidance as well as provoke industry change; he presents at many industry conferences world-wide, has led development of standards and guidelines for socially sustainable development during mineral exploration programs, facilitated construction of the PDAC Principles and Guidance for Responsible Exploration, and co-developed the innovative tool SociaLicenseTM – quantitative metrics for the Social License to Operate. Prior to founding On Common Ground, Ian held executive and management positions with Orvana Mineral Corp and Placer Development. Ian was the recipient of the 2010 Robert R. Hedley Award for Excellence in Social and Environmental Responsibility. This prestigious recognition – presented annually by AME BC – is awarded to a member working globally, who has made significant contributions or advances in the realm of social or environmental responsibility. Ian holds a Ph.D. from the Imperial College of Science and Technology, University of London, England.